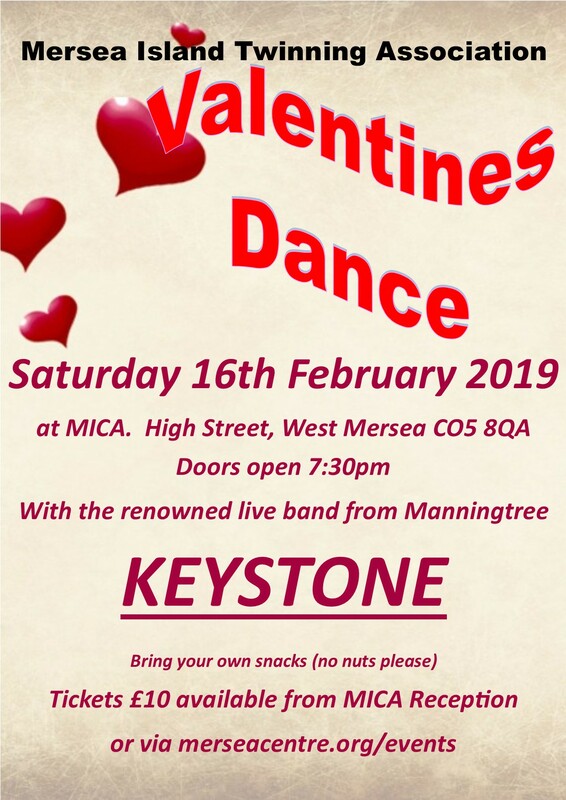 Mersea Island Twinning Association are holding their long running Valentines Dance on Saturday 16th February. The band this year are Keystone, a great, well renowned live band from Manningtree. We have hosted events with Keystone here before and they have really got the audience up on their feet! Bring your own snacks but please, no nuts as MICA is a nut free venue!